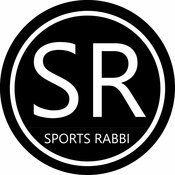 Brad Greenberg joins me on this week’s episode of The Sports Rabbi Show as we take a look back at his phenomenal career to date. We disusss Greenberg’s youth, his time in the NBA, working with Bill Walton, Patrick Ewing and the late Drazen Petrovic. The coach also talks about the 1996 draft when he took Allen Iverson as the General Manager of Philadelphia 76ers with the first pick. Of course, we also speak about Greenberg’s championship with Maccabi Haifa and his current team Maccabi Ashdod. The Sports Rabbi then welcomed Roy Jankelowitz of Israel Sport as we spoke about Thursday’s Israel State Cup Final between Hapoel Jerusalem and Maccabi Rishon Le’Zion. We also talked Maccabi Tel Aviv and the latest news from the Israeli league. Maccabi Haifa Wins For Stanovich In Benayoun’s Return!